Coronado Sets Out to the North by Frederic Remington, circa 1890s. At its peak, The Viceroyalty of New Spain reached from what is now southwest Canada all the way down to what is now the top of South America. Other Spanish viceroyalties, comprising the larger Spanish empire, would eventually cover a large portion of the entire Western Hemisphere. 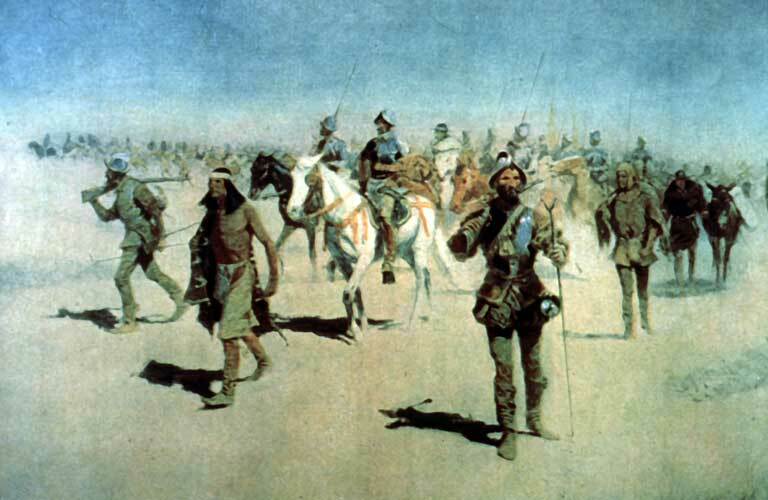 In the spring of 1541, Coronado’s epic expedition would reach the heart of the Great Plains. Although fated for catastrophe, the expedition would result in a rich set of discoveries. You’d figure that since I grew up on the southern U.S. border, and that since parts of my family had lived there since the days of New Spain, I might know a thing or two about Spanish. But, to borrow a rhetorical device from one of the Godfather films, even surrounded by Spanish speakers, the Spanish language never did penetrate my soul. Spanish always had a way of becoming like white noise to my ears. Still thinking back, since the days of my childhood I can remember the prolific José Feliciano’s Feliz Navidad being played on the radio right around the holiday season. I had heard it so many times, I stopped noticing when it was on. Like any song you’ve heard many times, it too was like white noise. This past holiday season, Feliz Navidad came on the radio, and suddenly it was as if a violent bolt of lightning had struck me. Stopped dead in my tracks, I had a random moment of insight. After a second or two, I realized this was an ingenious song! And a little while later, I started to wonder if this might possibly be the most ingenious song ever recorded! Could Feliz Navidad really be the most ingenious song ever recorded? Yes, I believe so! And the more you think about it, the more reasons there seem to be. First, we can talk about the “reach” that this song has, but that’s actually too simple. We are not doing it justice unless we really examine the dimensions of reach that this song traverses. There are at least five dimensions of reach that this song explores, and conquers, with the final dimensions being essentially uncharted, and additionally, not perceivable! Obviously, the song can be understood by both English and Spanish speakers. This makes for a huge worldwide audience. The song has chronological reach by always being relevant and timely for the holiday season. It stands on the pillars of Christmas and New Year’s, and it’s unlikely these will fall off the face of the earth any time soon. It reaches forward across time and into the future. The song has reach across all ages. This song is as suitable to a group of senior citizens as it is to a group of five-year-olds. The song has a very powerful reach into the recesses of the mind. Many people have a large collection of Christmas memories, especially from when they were young. They’re usually sitting there untarnished by time. The last dimension of reach is soul-to-soul reach. When you hear a song, do you really believe that the artist means what he is saying? Sometimes it’s yes, and sometimes it’s no, and sometimes it’s somewhere in between. And sometimes the words get in the way. In Feliz Navidad, I believe the words are the perfect vehicle and the perfect medium for José Feliciano to express something heartfelt, to express something he really means, and to express something he really wishes. This is more rare than you’d think. Second, this song is amazingly simple. While some ingenuity is complex, the hallmark of genius is simplicity. There are a grand total of 20 uniquely used words in this song. You can count them in your head. The number of uniquely used sentences in this song is… one, expressed in two different languages. There are so few words and so few sentences, in fact, that it’s actually impossible for them to get in the way of what Feliciano is trying to say. And there are other things too, not the least of which is the fact that this song was and still is very successful, and so I imagine it has been very profitable for Feliciano. But perhaps the proof in the pudding is that it’s also been covered by a very large number of artists across different musical genres and languages. Kind and unassuming, it doesn’t push hard ideological lines, nor does it demand that you even become a polyglot. And, it’s an educational song. If you know English or Spanish, but not both, you can learn a holiday greeting in the language that you don’t know. Since the days of my youth, I knew how to say “Merry Christmas” in Spanish. In more recent times, there’s been further opportunities for education. For instance, the way Feliciano appears to say “Mucha Gracia” at the end of the video in this post, instead of “Muchas Gracias”, is the common Puerto Rican dialect, which is Andalusian Spanish and is still spoken that way by people in Seville, Spain. I’m still trying to learn Spanish. 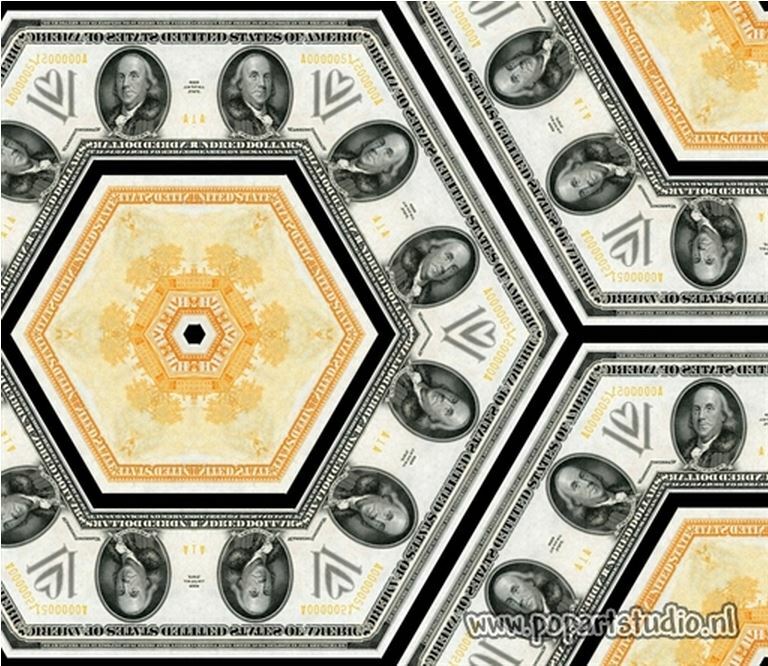 A kaleidoscopic view of the obverse and reverse sides of the Series 1934 $100 Gold Certificate. Kaleidoscope effect done at popartstudio.nl. 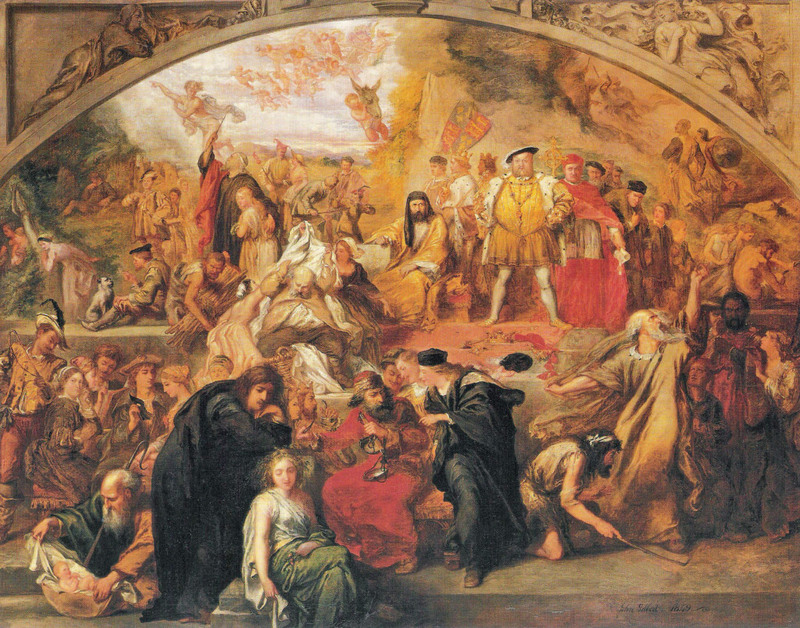 The Plays of William Shakespeare by Sir John Gilbert, circa 1849. Currently at the Dahesh Museum of Art in New York City, USA.